In yet another move to suppress the democratic revolution, the al-Khalifa regime in Bahrain targeted a peaceful, revered religious scholar for his calls for reform in the country. Ayatollah Shaykh Isa Qasem, on the pretext that he was creating and exacerbating sectarian strife and serving foreign interests, was stripped of his Bahraini citizenship. Bahraini citizens have been increasingly demanding their rights for the last few years and there have been several attempts by the government to silence every voice calling for reforms in the country. 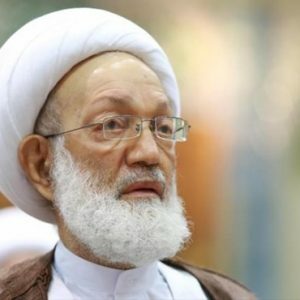 Ayatollah Isa Qasem has been consistently critical of the autocratic regime ruling the country and for the past few decades, has voiced his unwavering opposition to the brutality inflicted upon the Bahraini people, who have been killed, imprisoned without charge and falsely accused that they have been paid by foreign countries to protest and create instability in the country. The most laughable accusation levelled at Shaykh Isa is that he has been acting in Bahrain as an Iranian-paid agent seeking to expand the Islamic Republic’s influence in Bahrain by creating divisions between the people. These “Iranian agent” accusations have been consistently chucked at opposition figures by the axis of Arab monarchs. It is evident that this language is being used on the orders of their israeli, American and English puppeteers. why does it feel so threatened by peaceful protestors who, until now, have not picked up weapons? Why has the regime specifically targeted the leaders of al-Wefaq? And most importantly, why is it after Ayatollah Isa Qasem? The monarchy has spared no effort in serving the Zionerican [Zionist-American] policy of sectarianism in the region because it occupies the masses and distracts them from paying attention to the fact that they are ruled by tyrants and dictators who are on the West’s payroll. The situation in Syria is a perfect example of the kind of havoc that, following this absurd and destructive policy, has resulted in. Rebel groups such as ISIS are paid and armed by these whisky-drinking monarchs to kill indiscriminately and create animosity between the Sunni and Shia. They are doing exactly the same thing in Yemen against Ansarullah, a group which toppled the Zionerican and Arab-backed government with popular support. To this day, after more than a year of catastrophic bloodshed, Saudi-US forces continue to launch airstrikes and kill innocent Yemenis in order to restore Abd Rabbuh Mansur Hadi, the ousted, former president of Yemen. Arab media continues to label the popular, Ansarullah-led uprising as an Iranian plot in the region. The same language was used in “Saudi” Arabia in order to justify the House of Saud’s brutal beheading of pro-reform cleric and vocal critic of the monarchy, Martyr Nimr Baqir al-Nimr. Just before his execution, the Western-backed Nigerian government massacred more than 1000 innocent people in Zaria. The arrest of the movement’s leader, Shaykh Ibrahim Zakzaky, was depicted by Western media as a quelling of a rebellion instigated by Iran in a sovereign, independent country. The single, underlying connection between all these acts of injustice and oppression is that they have all been condoned and supported by the Zionerican axis. The United States of America has its fifth largest fleet stationed in Bahrain; it is, therefore, not in the Great Satan’s interests to support a popular, democratic movement at the expense of the al-Khalifa monarchy because it would weaken the American stronghold in the region. They picked on al-Wefaq because they have gained mass popularity in Bahrain; this is the reason why the party’s leader, Shaykh Salman, remains behind bars. 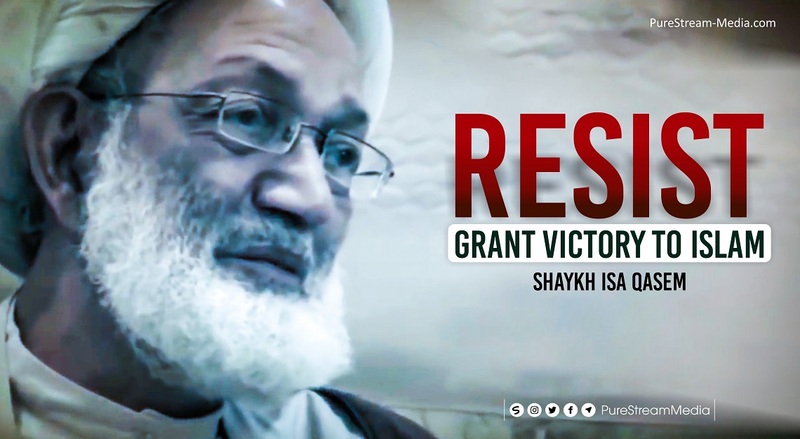 The monarchy revoked Shaykh Isa’s citizenship because even though he holds no formal position in al-Wefaq, his popularity and respect among the Bahrain people is something the establishment fears intensely. The question remains, what will the al-Khalifa dynasty do with him? 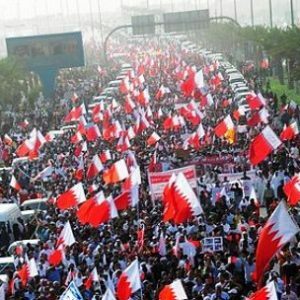 If the regime does nothing, the Bahraini people will eventually rise and intensify the revolt against the monarchy. The revolution will likely succeed, and we might witness the birth of another Islamic government. Such an outcome would only be possible if the people remain steadfast in their responsibilities and if their religious leaders continue to guide them and stay strong in their stance.